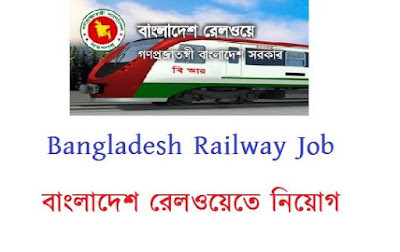 Bangladesh Railway Job Circular 2018 published on their website as well as Daily Newspapers. See the full circular on our blog. Bangladesh Railway is the rail transport agency of Bangladesh Government. The organization is managed by the Ministry of Railways. The Director-General of this organization is MD. AMZAD HOSSAIN. Railway authority published the circular for the Sipahi post. The educational qualification for this post is HSC pass. And the Basic salary is 8,500 Taka. Total Post: 185 (One Hundred & Eighty-Five). You read the full circular. Now you have to download the circular and the application form. You can download the form from Fast Result BD. Or you can choose their official site www.railway.gov.bd. If you want to apply for this post, you have to fill up the application form. And then send the application form by post-office. You have to attach 3 Copy Passport size picture with the application form. Throw your valuable opinion in the comment box. Like our Facebook page for future job update. And share this recruitment notice with your friends.